For those rare few individuals who are blessed with naturally clear skin, acne and pimples may not be a concern. But for the majority of the masses, recurring acne is a genuine issue and some of us are desperate enough to try any remedy we come across. By now we do know that probiotics are “good” or “helpful” bacteria that keeps the digestive system healthy. But can probiotics treat acne? If so, how does it help to treat acne? How to choose the best probiotics for acne? 1 How Probiotics helps to treat Acne? 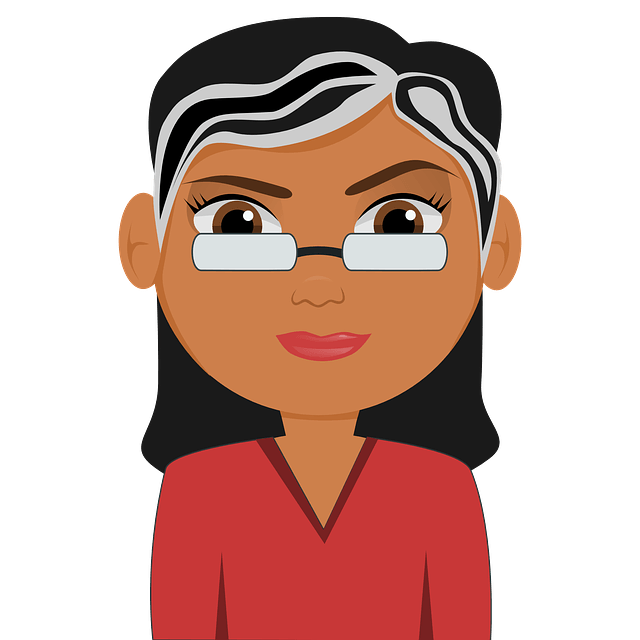 2 What to Look For In a Probiotic Supplement? How Probiotics helps to treat Acne? Inflammation is one of the main causes of acne and other skin problems. A low-fiber and high-processed diet along with stress and anxiety damages the healthy balances of the microbial colonies in the gut which increases the level of system-wide inflammation which is reflected as skin inflammation and acne. Oral probiotic supplements or foods containing probiotics help to restore the balance of gut flora and prevents skin inflammation. Excessive sebum production by the skin cells is another major cause of acne. Acne occurs when the hair follicles on the skin become clogged with oil and dead skin cells. But oral probiotic supplements can help to reduce overproduction of sebum and improve inflammatory acne. Topical probiotics and probiotic lotions can also help to prevent acne by acting as a protective shield and destroying the colonization of P.acnes (Propionibacterium acnes), an acne causing bacteria. It inhibits the growth of harmful bacteria on the skin. Study 1 – As early as 1930, two dermatologists John Stokes and Donald Pillsbury introduced the concept of “gut-brain-skin axis.” According to this theory which is based on clinical evidence, emotional stress can alter the healthy balance of gut bacteria which can result in poor digestive health and thus trigger system-wide inflammation which subsequently results in chronic skin inflammation and acne. Study 2 – Studies about the gut-skin connection started long back. In 1961, physician Robert H. Siver conducted a clinical trial to evaluate the effects of probiotics on acne. He administered a commercially available oral probiotics to 300 patients and he observed that 80% patients have some improvement in inflammatory lesions. 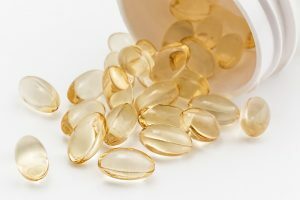 What to Look For In a Probiotic Supplement? Probiotics are measured in CFUs (Colony Forming Units). 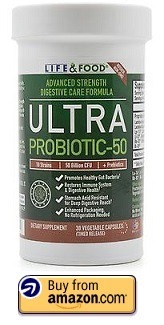 The CFU of a probiotic supplement is usually displayed on the label of the container. It is best to opt for a supplement that has a range of 10 to 50 billion CFUs. Supplements that have lower range of CFUs can be used as daily maintenance products, but going over 50 billion CFUs rarely adds any benefits. Probiotic supplements contain different types of beneficial bacteria that are classified as per their genus, species and strains and they have different functions and effects on the body. Therefore it is best to choose a probiotic supplement that has a diverse range of bacteria. Almost all probiotic supplements contain the two most widely researched bacteria – Lactobacillus and Bifidobacterium. Some common forms of Lactobacillus are – L. acidophilus, L. casei, L. bulgaricus, L. fermentum, L. thermophilus, etc. Common forms of Bifidobacterium are – B. longum, B. bifidum, B. infantis, B. animalis, etc. Those having any specific digestive issue such as Irritable bowel syndrome or chronic yeast infection should consult a doctor who will be able to suggest specific strains of bacteria that are effective for the specific problems. It is important to pay close attention to the labelling of the probiotic supplement you are about to purchase because they contain live bacteria. So if a brand says that it has put 50 billion CFUs in the product when it was manufactured, it might be possible that 50% live bacteria died by the time you purchased and started using the supplement. So, it is important to choose a supplement that clearly states on the packaging that the potency and stability of the supplement is guaranteed till the time of expiration. It is best to choose a probiotic supplement that comes with enteric coating or has a delayed release mechanism, because most probiotic bacteria can’t make it through the harsh stomach acids. An enteric coating helps to protect the bacteria while it moves through the acidic environment of the stomach and increases its chances of reaching the gut alive. 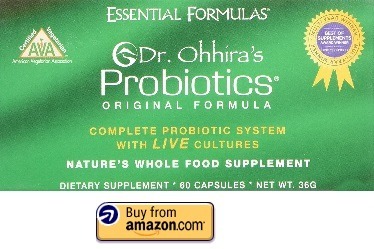 Among the best 8 probiotics, Dr.Ohhira’s Probiotics Original Formula has taken the first place. Though the price is a little high but the effectiveness makes it worthy to try. This is an unique probiotic supplement that consists of a blend of 12 lactic acid bacteria (LAB) strains that undergo a 3-years fermentation process that promotes the survival of the strongest of bacteria. This prolonged fermentation process makes it a shelf-stable probiotic supplement that does not require refrigeration. Unlike other probiotic supplements that contain freeze-dried or non-native bacteria, Dr. Ohhira’s formula contains biogenic ingredients that support each individual’s unique probiotic “fingerprint”. The supplements contain complete probiotic system along with prebiotics, enzymes, micro-nutrients and organic acids that supports pH of the digestive system, promotes metabolism and improves immune response. This is a pro-biotic Acidophilus supplement that provides 14 billion good bacteria per serving. This probiotic supplement consists of 8 Lactobacillus and Bifidobacterium species that helps to promote healthy digestion, inhibits harmful bacteria and supports healthy immune function. The microflora growth concentrate used in this supplement is inulin that aids the probiotics to flourish and grow in the intestine. This supplement is free from gluten, soy, milk, peanuts and tree-nuts which makes it suitable for people with gluten and lactose intolerance. But this probiotic supplement has to be refrigerated after the container is opened. This is a whole food probiotic supplement that contains 13 different species of beneficial cultures. This probiotic supplement provides 15 billion live bacteria per serving. It is broad spectrum probiotic formula that contains 13 species of beneficial bacteria along with soil-based probiotics B. subtilis and S.boulardii that can survive harshest of digestive environments and stomach acids. It is a 100% gluten-free and vegetarian probiotic supplement suitable for people with restrictive diets. It is a shelf-stable formula that doesn’t need to be refrigerated. It may cause temporary “die-off” symptoms such as acne, acidic smell in urine, etc. 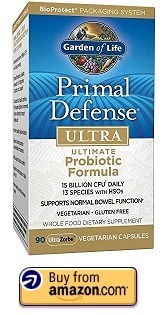 This is an advanced strength probiotic formula that contains all the primary strains that are required to support healthy digestion and improve overall health. This probiotic supplement contains 50 billion live cultures and includes 10 of the most effective Bifidobacterium and Lactobacillus strains. Activ-polymer technology used in the bottles removes oxygen during storage and maintains the potency of the live cultures till consumption. So there is no need to refrigerate it. This probiotic supplement contains Sunfibre and FOS prebiotics that support and promote the growth of the probiotics in the gut. These are Time Release Bile Resistant capsules that protect the live microorganisms from the harsh stomach acids, so that they can reach the gut alive. This is a high potency probiotic supplement that contains 10 strains of scientifically studied Bifidobacterium and Lactobacillus species that help to re-establish digestive balance and promote immune health. It also helps to support vaginal and urinary tract health. Each serving of this supplement provides 50 billion live cultures. It is 100% gluten and dairy-free formula that is suitable for people with gluten and lactose intolerance. It is a delayed release capsule that ensures that the microorganisms survive the harsh stomach environment and reach the gut alive. This is a 100% vegetarian/vegan probiotic supplement that provides 25 billion CFU per serving and contains 10 probiotic strains. This formula contains acid-resistant probiotic bacterial strains that naturally colonize the human GI tract and support healthy digestion and help to maintain the balance of gut flora. This supplement also contains FOS (Fructooligosaccharides) that support the growth of the probiotics in the gut. This is a 100% vegetarian/vegan supplement that is free from dairy, wheat and gluten which makes it suitable even for people with restrictive diets. 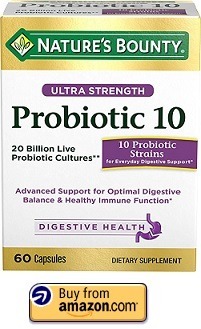 This is an Ultra Strength Probiotic supplement that contains 10 distinct probiotic cultures that help to supplement the body’s natural diversity. Each serving of this supplement provides 20 billion live probiotic cultures that support microbial balance of the intestinal flora. This is a 100% safe supplement free of lactose, starch and gluten which makes it suitable for vegetarians and people with lactose or gluten intolerance. This supplement guarantees 20 billion live probiotic cultures at the time of manufacture. This is a potent time release probiotic supplement that comes with a patented delivery technology which makes it 15 times more effective than regular probiotic capsules. This supplement contains 15 targeted probiotic strains that help to restore the balance of the gut flora. Each serving of this supplement supplies 5 billion CFU of probiotics which is equivalent to 75 billion CFU of standard probiotic capsules. This supplement also contains naturally derived prebiotic that feeds the probiotics and increase their potency and effectiveness. The patented LiveBac manufacturing process guarantees long shelf-life of 18 months from the date of manufacture, so there is no need for refrigeration. Time release delivery of the supplement ensures the microorganisms survive the harsh environment of the stomach and reach the gut alive. 1) Can Probiotics Make Acne Worse? Probiotics may possibly cause acne but in most cases it’s a “die-off” or Herxheimer reaction that temporarily worsens the condition. When probiotics are introduced in the gut, they react with the harmful bacteria which produce toxins. The body clears these toxins in the form of acne, diarrhea, headaches, gas, etc. These reactions indicate the probiotics are working to destroy bad gut bacteria. 2) Are soil based probiotics good for acne? Soil based probiotics are a new class of probiotic supplements derived from soil. These microorganisms have the ability to seed the digestive tract with bacteria that flourish and help to support the balance of micorniome in the gut. They are more resistant to the harsh acidic environment of the stomach and are every stable. So they don’t need any special coating or preservatives. Soil based probiotics are especially effective in balancing the pH of the colon and treating digestive disorders which has a direct impact on skin health. 3) Can Probiotics Used For Baby Acne? Probiotics can alleviate many skin conditions in infants such as acne, eczema, cradle cap, rashes, etc. The best way to introduce probiotics to your baby’s diet is through breastfeeding. For this, the mother has to consume considerable amount of fermented and probiotic-rich foods on a daily basis. You can also prepare a breast milk yogurt by adding infant probiotics to breast milk and set it overnight. Some of the most beneficial strains for infants are B.Bifidum, B.Infantis and L.Rheuteri. 4) What Are The Best Topical Probiotics for Acne? As mentioned earlier, those having chronic acne can also benefit from topical probiotic lotions and sprays. The topical probiotics contain specific strains of bacteria that destroy the colonization of negative strains of P.acnes, one of the main acne-causing bacteria present on the skin. These probiotics prevent the overgrowth of harmful bacteria and keeps inflammation under control. Studies and research shows that there is a direct link between the balance of microorganisms in the intestine and skin health and maintaining healthy balance of gut flora by consuming a probiotic supplement can go a long way in treating and preventing acne breakouts. Choose a probiotic supplement from a reputed brand that has good CFU and different strains of bacteria. You may also want to check out our top acne treatment blogs for your research. don’t forget to share your experience and thoughts with us in the comments section below.